Johannesburg - South Africa’s favourite savings scheme, the stokvel, could be so much more than simply a festive season pay-out, economists believe. Stokvels are a powerful savings tool, the investment potential of which has not been fully tapped, says National Treasury economist Olano Makhubela. He says 11.5 million people participate in South Africa's 80 0000 stokvels, saving about R49bn a year. The stokvel – named after local stock fairs in the Eastern Cape in which 5 to 50 members consisting of colleagues, family and friends pooled resources to trade livestock with English settlers – is one of the most popular saving mechanisms in South Africa. 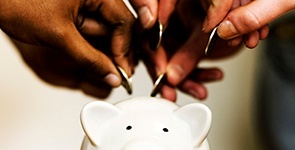 It is mostly an informal savings vehicle, consisting of members’ pooled contributions. Typically, stokvels consist of between 5 and 20 members who contribute an agreed periodic amount to the central pot. Each member gets to receive a lump sum of combined contributions, at least once during the stokvel's lifetime. “Investments in equities by groups of individuals through stokvels or investor clubs are becoming a popular way of building up savings and investments. This is encouraging,” he says. He said about 60% of stokvels are investment-focused, while 18% are investment clubs. The remaining 22% are grocery stokvels, where most of the money is paid out monthly to individuals who spend it on consumables such as food and groceries. He admits the government has a critical role to play in enabling stokvellers' savings and investment products. Research by Old Mutual Savings Investment Monitor reveals that 42% of households are dependent on stokvels as a savings tool. At the moment big retailers can cash in on the stokvel cash post. Many stokvel members club together to buy groceries, sending trucks to stores to try and benefit from buying in bulk. 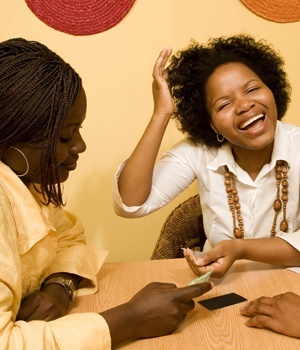 Research shows that a well-funded stokvel can easily spend R200 000 on groceries. Massmart is one of the retailers that has recognised the buying power of stokvels. Some of the company’s wholesale stores, for example the Cash & Carry, specifically cater to the grocery stokvel market. In Mpumalanga the Witbank Cash & Carry has created special stokvel shopping days. Held before the festive season commences, they give stokvel customers the option to order ahead of time to secure bulk discounts. Stokvels are a platform for suppliers to showcase their goods, and for different stokvels to socialise as well as share and discuss savings and banking tips, Massmart said. The Witbank Cash & Carry also specifically works closely with the stokvels to gain a thorough understanding of what members need and how they can deliver the right value at the best possible price. “As a result, common challenges such as logistics can be addressed,” Massmart says. “For example, special opening hours, the picking and packing of products, and the transportation of goods is made available beforehand for those who need it. But while saving for the big payout might be the goal of most stokvellers, economists say a better platform could be built which would enable members to benefit financially from their R49bn-strong economy. Using stokvel earnings to invest in long-term vehicles with high returns is one such option. 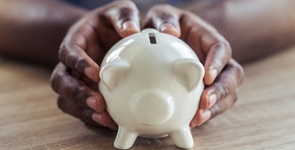 While stokvels have traditionally been used for short-term savings such as groceries or school fees, evidence suggests that many are now becoming more formal, upmarket saving schemes, says Thandi Ngwane, head of strategic markets at Allan Gray. “There are two things driving this trend: people who can’t afford monthly investment minimums, yet want to earn long-term return on their savings, are doing so through a stokvel that invests,” she said. She says bank accounts are suitable for stokvels with short-term objectives. But once the objectives take a longer-term focus - between three and five years - stokvels should consider looking for alternatives. Over 11 million people participate in South Africa's 80 0000 stokvels, saving about R49bn a year.